SKOPJE, Macedonia (AP) — Western leaders have scheduled more visits to Macedonia ahead of an upcoming referendum that would change the country’s name and get it fast-tracked for NATO membership. U.S. Defense Secretary Jim Mattis has a weekend stop planned. The referendum on changing the country’s name to North Macedonia is scheduled for Sept. 30. If voters back the new name, Greece has agreed to stop blocking Macedonia from joining NATO. The Macedonia name has been a source of tension between the neighboring nations for decades. Greece has a region named Macedonia, and said the use of the same name by the small former Yugoslav republic to its north could imply a claim to the territory and ancient heritage of the Greek province. The Macedonian government, led by center-left Prime Minister Zoran Zaev, launched its referendum campaign earlier this week, urging people to support the new name. Zaev negotiated the agreement with the Greek Prime Minister Alexis Tsipras. Macedonia’s conservative opposition vehemently opposes the agreement with Greece, saying it was a national humiliation. Westerns governments have been vocal in their support of the deal. 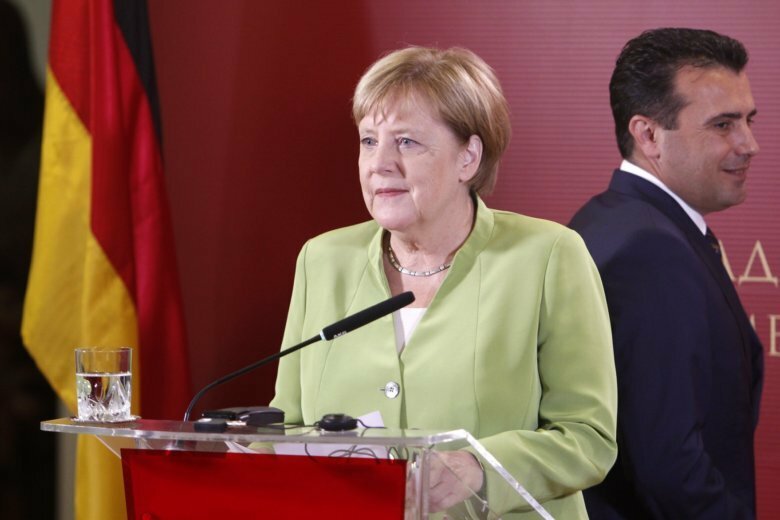 NATO Secretary General Jens Stoltenberg, Austrian Chancellor Sebastian Kurz, and German Chancellor Angela Merkel were in Macedonia’s capital, Skopje, last week to urge voters to support the name change. At a Pentagon briefing Tuesday, Defense Secretary Mattis told reporters he was concerned about alleged acts of “mischief” by Russia to try to block Macedonia’s path to NATO membership. Russia denies claims of interference, but openly opposes NATO expansion eastward.